Carrying its tradition and honoring Filipino artistry and creativity, Metrobank Foundation Incorporated (MBFI) established on January 8, 1979 by Dr. George S. K. TY, held its annual Awarding Ceremony and Exhibit Opening on September 20, 2018 at Le Pavilion, Metropalitan Park, Pasay City. 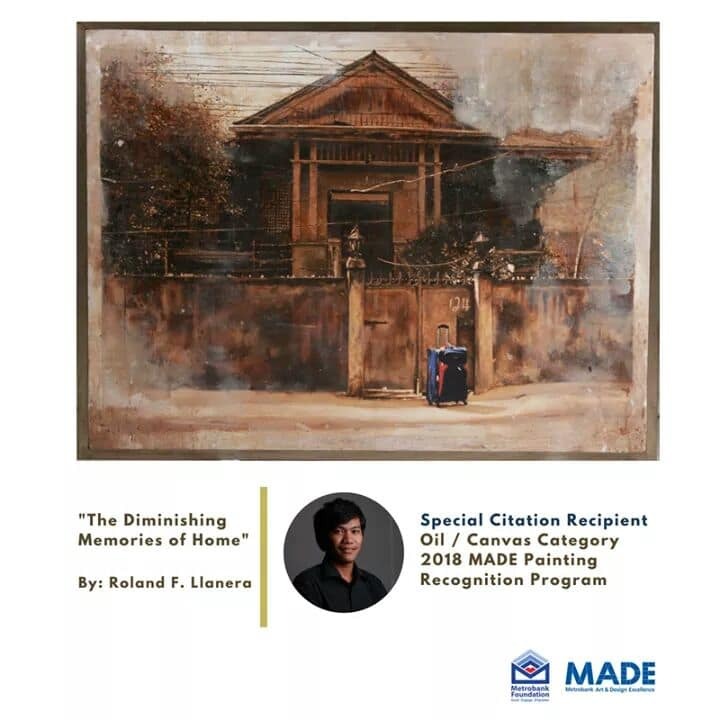 This highly anticipated event presented by The Metrobank Foundation, Inc. (MBFI) recognized Filipino painters and sculptors through Metrobank Art & Design Excellence (MADE). US Ambassador to the Philippines Sung Yong Kim and Cultural Center of the Philippines chairperson Margie Moran-Floirendo graced the event as Guests of Honor, who were welcomed by Metrobank chairman emeritus Dr. George SK Ty, Metrobank and MBFI chairman Arthur Ty, Federal Land chairman Alfred Ty, Metrobank vice chairman Francis Sebastian, Metrobank president Fabian Dee, and MBFI president Aniceto Sobrepeña. Along with National Artist for Literature F. Sionil Jose, diplomats, government officials, local and foreign artists and dignitaries, gathered in the evening flocked by art and music performed by The Manila Symphony Orchestra and the University of the Philippines Dance Company. “MADE has continued to be a platform for discovery for the most passionate and persistent creative visionaries in the country. Our roster of winners—now counting to more than four hundred—discovered their potentials, and majority of them are now carving significant names in the local and even international art scenes,” said MBFI president Aniceto Sobrepeña. “But more than a competition that breeds artistic talent, MADE has evolved to become an implementing entity that facilitates a generation of fresh ideas for social development. The works of the artists we celebrate this evening are testaments to that,” he continued. On its 34th year, MADE chose the theme “Discover” inviting Filipino painters and sculptors to immerse into a whole new experience one that demands looking at the world with fresh eyes to discover the beauty in things mundane and overlooked. 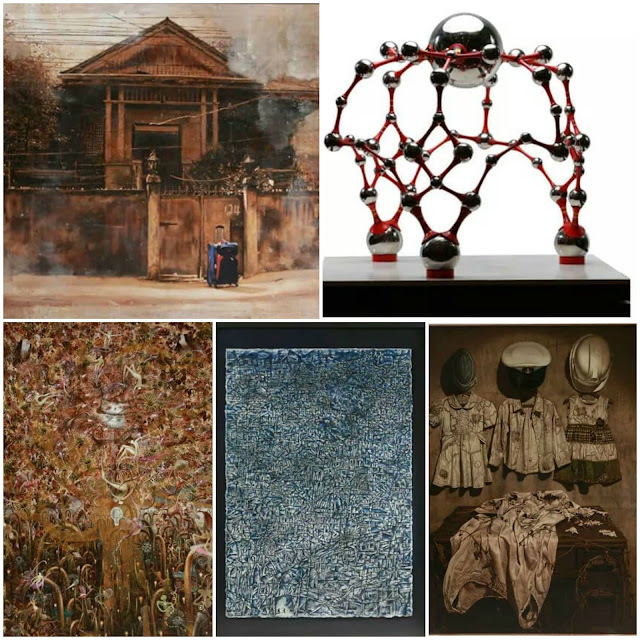 Since 1984, MADE has recognized more than 400 artists, architects and designers serving as the venue to discover emerging names in the art scene. Two (2) Grand Awardees for the Painting Recognition Program and one (1) Grand Awardee for the Sculpture Recognition Competition received a financial assistance worth P500,000 and the “Mula” glass trophy designed by 2009 Metrobank Prize for Achievement in Sculpture (MPAS) awardee Noell El Farol. 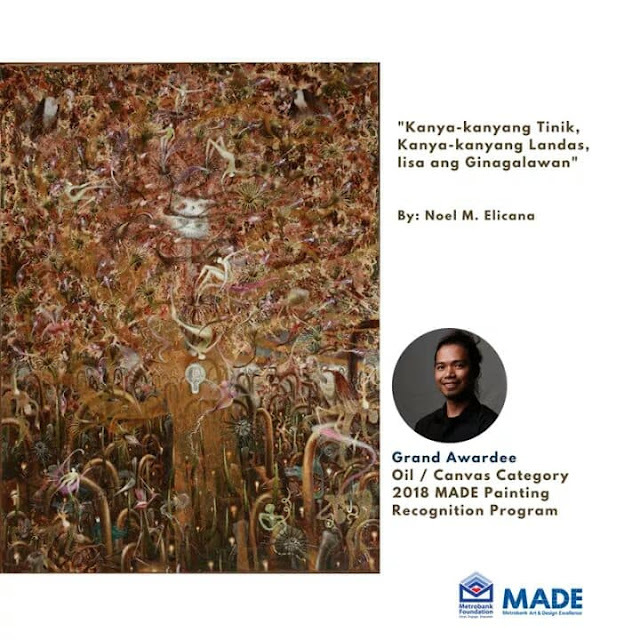 On the other hand, two (2) other finalists for the Oil/Acrylic on Canvas Category, Painting Recognition Program were given Special Citations for their remarkable artworks. 25 year old full-time artist Noel M. Elicana from Oton, Iloilo is the Grand Awardee for the Oil/Acrylic on Canvas Category with his piece "Kanya-kanyang Tinik, Kanya-kanyang Ginagalawan, Iisa Ang Ginagalawan" portraying both creation and destruction. 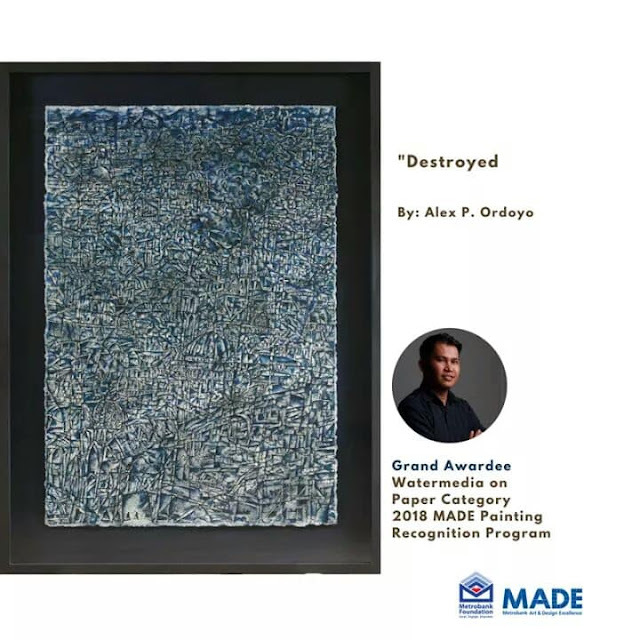 34 year old teacher Alex P. Ordoyo from Santa Barbara, Iloilo is the Grand Awardee for Watermedia on Paper Category with his monochromatic piece "Destroyed" portraying the devastation in Marawi City. 51 year old Architecture graduate from University of Sto. Tomas, Maria Ronna Lara -Bes from Cainta, Rizal is this year's Grand Awardee for the Sculpture Recognition Program. 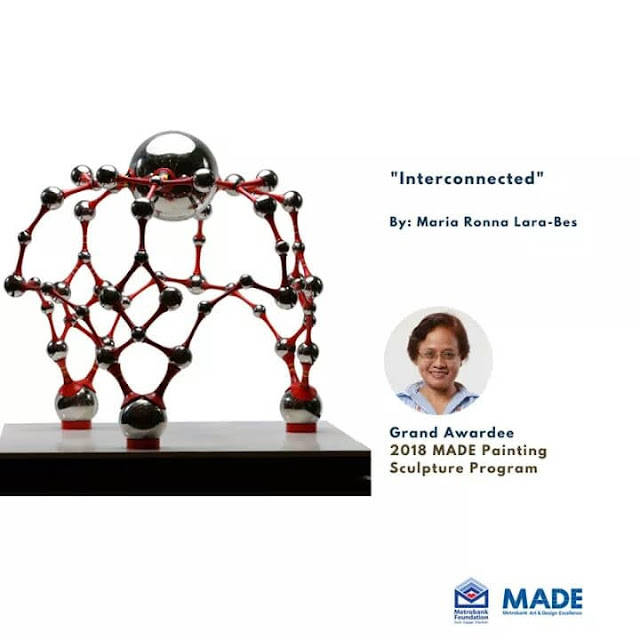 A medley of spheres and lines symbolizing binding ties "Interconnected," is a visual representation of how the disparate islands of our archipelago are bridged together by the shared identity of the Filipino people. 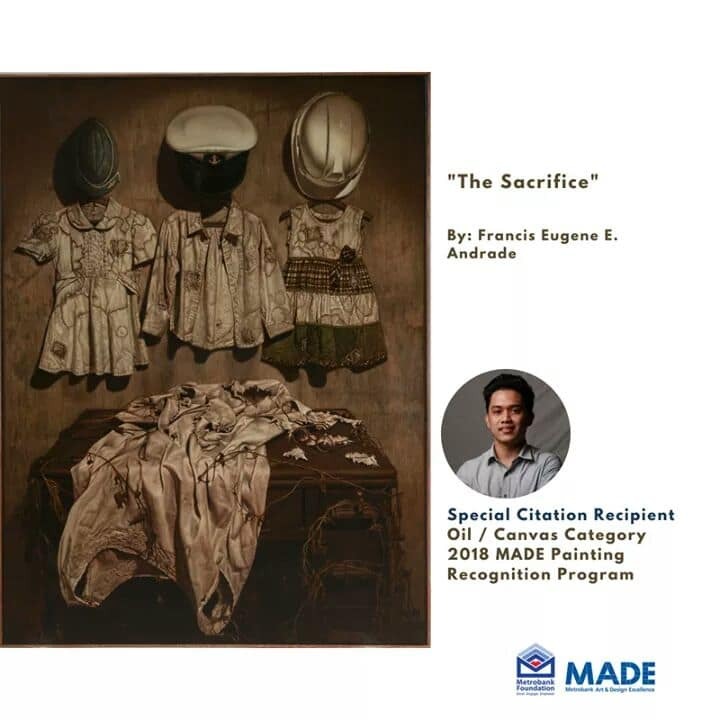 Special citation for Oil/Acrylic on Canvas for both Francis Eugene E. Andrade for his piece "The Sacrifice" about mother's undying love for her children and Roland F. Llarena's "The Diminishing Memories Of Home" describing a subtle and sad representation of reality in abandonment of a home. Another highlight of the night was an art exhibit by the MADE Network of Winners (MADE NOW) —the alumni organization of former MADE winners entitled “Voyage of Senses”. Artworks displayed were made available for sale during the exhibit run of which a percentage of the proceeds go to the various pay-it-forward projects of the alumni organization such as art therapy. Once young and amateur artists, most of the members are now the most sought after contemporary artists of today. Participating artists include Roberto Acosta, Andrew Tan, Samuel Penaso, Siefred Guilaran, Eugene Jarque, Jonathan Dangue, Melvin Culaba, Clarence Eduarte and Rolando Ventura. The 2018 MADE Grand Awardees and Special Citation automatically become members of the MADE-Network of Winners (MADE-NOW) where they will be implementing pay-it-forward projects that benefit marginalized sectors. A two-day lecture on rediscovering Philippine arts and cultural heritage, entitled “Panoramic Endeavors” was held in the same venue on September 21 to 22. With themes “Arts and Design as Personal Advocacies” and “Conservation of Tangible Heritage” in day one and “Hubs for Creative Ingenuity” and “Shaping Creative Public Spaces” for day two, the lectures seek to rediscover the importance of arts, architecture and design in everyday life through the nationalistic efforts of dynamic individuals in the art and design community.